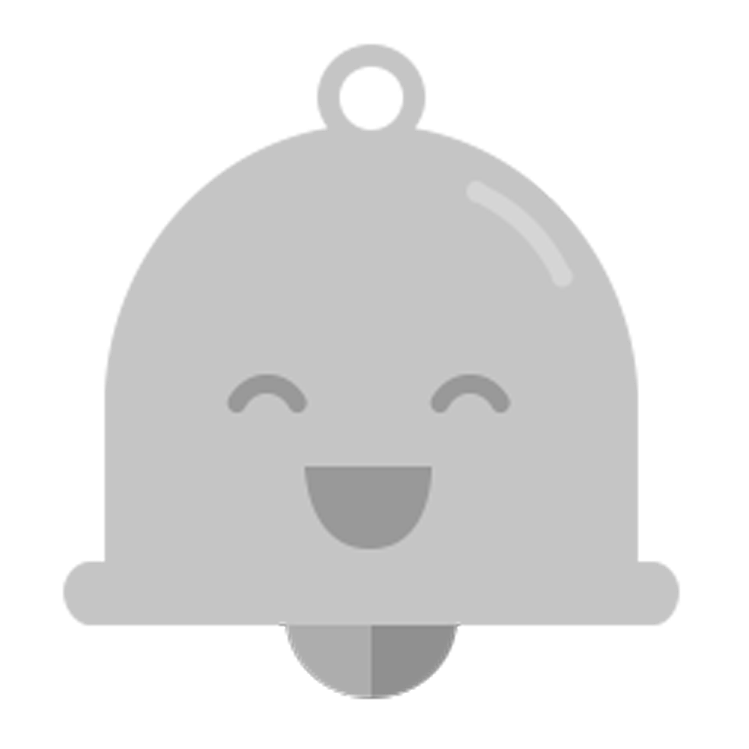 And in 2017, shortly after the shutdown of Classic Google+, the notifications under the bell got a redesign, and Mr. Jingles - the Google+ notifications mascot - was removed. Mr. Jingles currently lives on the Google+ desktop notifications page, hopefully until consumer Google+ shuts down April 2nd. Be sure to read to the end of this post for a walk down memory lane. 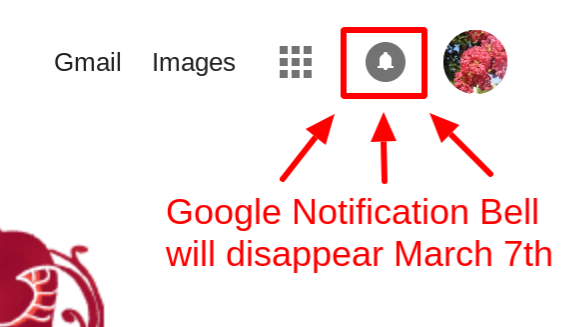 My hope was that it would eventually become a truly universal Google notifications bell, and include notifications from Google Drive and other products that currently only have in-product notifications. But that was not to be. For a quick overview of how to enable browser notifications for Google+, Google Photos and YouTube, watch my video tutorial. Otherwise read on! If you want to continue to get notifications on desktop, you can enable those for each product. 1. On your desktop computer, open Google Photos. 3. Turn on Browser notifications. Note: you can still access your notifications in the Google+ Notifications Center (plus.google.com/notifications). 3. Enable "Get Google+ push notifications on your web browser"
Learn more about Hangouts Chat notifications. On your computer, open Google Hangouts Chat. Click Settings Gear and select Notifications. April 2013 Optional Google+ Comments launch for Blogger blogs. 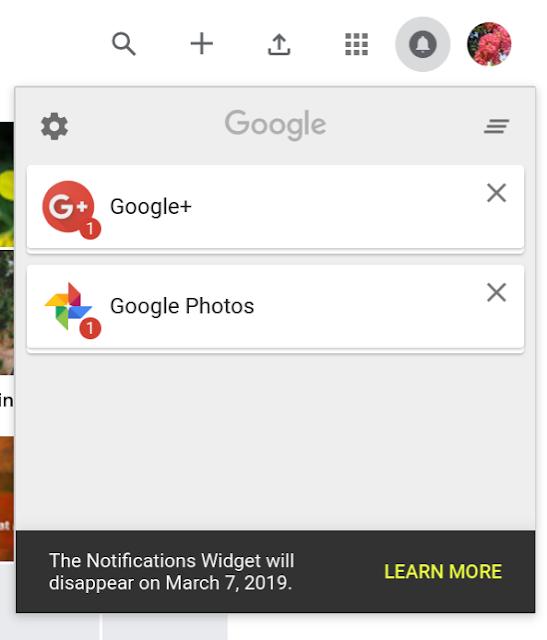 June 2015 A redesigned notification bell includes configurable notifications for Google+, Google Photos, and (for some users) YouTube. Mr. Jingles is still there to say "All caught up!" May 2016 Google Spaces launches, notifications are available under the bell. Spaces shut down April 2017. September 2016 Google+ Notifications Center launches on the web so you can read your Google+ notifications without having to click the bell. January 2017 Classic Google+ desktop interface is retired. 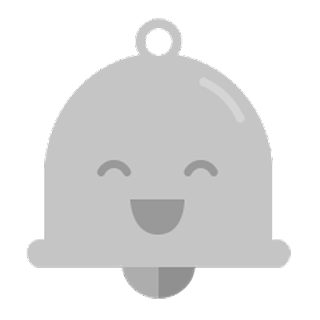 February 2017 Google introduces a newly designed notification bell with Google+ and Google Photos notifications. Mr. Jingles is relegated to the Google+ notifications page. March 2017 Hangouts Chat launches for G Suite. Hangouts Chat notifications are also under the notifications bell. March 2019 The "notification widget" is removed from the Google Navigation bar. Madam, How many "adsense" ads we are able to show "per page and perpost" mam? I read the policies they said "Three ad units" perpage/perpost. But I ask to a blogger he said that A/C to New adsense policy we are able to show as many as you can.